Townfield Pharmacy in Birkenhead, Merseyside, was quiet when its staff heard about a suspicious package. At around 2.30pm on Wednesday, February 13, they were informed by the manager of the health centre they shared the building with about an unidentified brown, taped-up parcel. The manager said a member of the public had picked it up and felt “a load of bolts” beneath the tape, so had put it down, pharmacy owner Mark Bartley recalls. The pharmacist, Mr Bartley’s wife Alexandra, says the package was found at what used to be an old nurse's station, in a walkway between the pharmacy and the health centre – luckily, not an area that is used anymore. The package was “lying on its side on the floor”, and was “about the size of an iPhone”, Ms Bartley describes. A member of staff at the pharmacy immediately contacted the police, Mr Bartley says, before setting off the fire alarm. The staff gathered at the meeting point outside. Mr Bartley says police arrived in droves, resulting in around 10 police vehicles in the car park. Surrounding businesses, including a hairdresser and a chip shop, were evacuated, and the car park cordoned off to establish a 100m perimeter around the package. The area was busy at the time, with around 10 staff members in the pharmacy and twice as many in the surgery. Once the bomb squad arrived at 5.30pm, they deployed a robot to move the package into the alleyway outside the pharmacy, where it was destroyed in a controlled explosion. 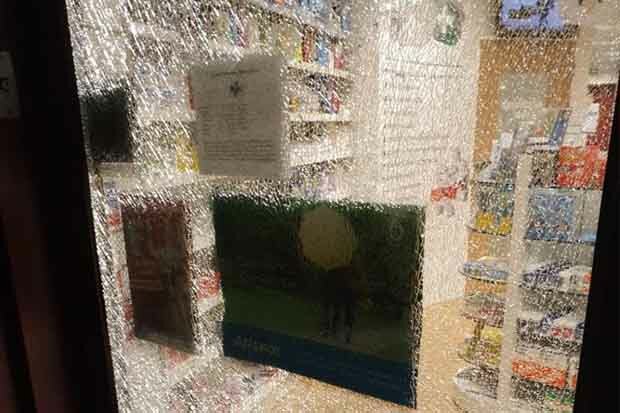 “The shockwave from the detonation smashed the glass in the [pharmacy] window, but luckily inside was unscathed,” Mr Bartley says. Mr Bartley's calm reaction appears to have been shared by the whole pharmacy team. “The staff didn’t seem fazed by it and we’ve gone back to normal. It was the talk of the town for a day, but now it’s business as usual,” says Mr Bartley. The package turned out to have been a bag of screws left by a builder, but they had to treat it as suspicious, Ms Bartley explains. “It was disruptive, but we didn’t have any complaints [from patients],” she says. They reopened at 9am the next day. Khalid Khan, head of training at Imaan Healthcare – the parent company of Townfield Pharmacy – praised Mr Bartley on Twitter for “being on hand to keep everyone calm” during a time of potential crisis. Have you experienced a dramatic event in your pharmacy?